By incorporating real workplace scenarios, labs, and exercises, Fast Lane training courses prepare you for the real-world issues you will face back in a real working environment. With a large catalog covering all areas of DevOps, ITIL, Agile, and Programming you’re able to receive hands-on experience applicable to your specific job or need. DevOps is an approach to software development leading to more agile deployment and quicker time to market for application services. Collaboration, communication, integration, sharing and automation result in a more efficient, continuous cycle of software development. Market demand for DevOps skills is growing and DevOps engineers are among the highest paid IT practitioners today. 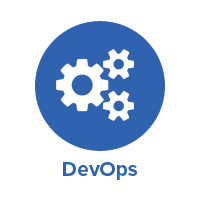 Fast Lane offers training and certification exams for professionals who wish to demonstrate expertise in technologies closely associated with DevOps. Our Agile training courses are highly interactive and offer a “hands on” learning approach. Participants will be able to hit the ground running to successfully implement agile methodologies within your teams and departments, and ultimately across the organization. 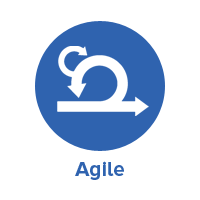 Whether your team is new to Agile or trying to scale Agile, Fast Lane has the training courses and coaching solutions that will make a difference. Our Agile courses are delivered by ASPE, ICAgile Member Organization. Have a DevOps question? Need to schedule a private onsite? Let us know!